The AIM Wellness Membership program at Abide in Me Therapeutic Massage Services (AIM Massage Therapy) is designed to provide in-home evening massage treatments for individuals who desire a moment of peace and serenity after a long day. The program is an exclusive offer that allows members the opportunity to conveniently choose from wellness sessions purposed to encourage total relaxation, without the hassle of having to leave the house. Your Massage Therapist will assess your needs through consultation and will create a customized luxurious massage experience just for you. Everything needed to aid in the comfort of your treatment is accommodated by your Therapist, including a massage table and/or chair, linens, oils and soothing music. All that is required of you is a suitable and safe area for the treatment to take place and a working electrical outlet. Certified and Licensed Massage Therapist, Debra Ingram specializes in providing a range of Therapeutic Massage services designed to rejuvenate, restore and relieve tension to the mind, body and spirit of individuals who desire to feel and be relaxed. She is a graduate of the Academy of Massage Therapy and has furthered her training at Elite Continuing Education. 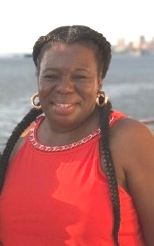 Currently serving the New York City and New Jersey areas, Debra is well-rounded in massage and bodywork modalities including Swedish Massage, Deep Tissue Massage, Hot Stone Massage, Reflexology, Chair Massage and Aromatherapy. Debra's vision for AIM Massage Therapy is to combine her passion for Massage Therapy, hospitality and recreation - coupled with her experiences, knowledge and compassion for the well-being of others - to offer support to members in their life's journey by providing the best treatments available to help them meet their overall wellness goals.